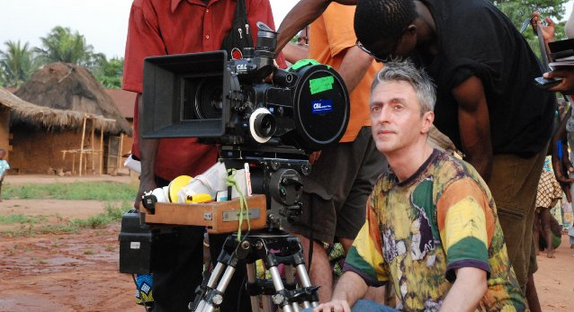 Director Pablo César, filming “Shores” in Benin – 2011. Argentina and Angola jointly announced the beginning of the first Argentine-Angolan co-production, to be filmed alternatively in both countries by cult director Pablo César. Argentina has as rich a history of international co-productions as César: the new movie, titled The Gods of the Water (Los dioses del agua), will be his 11th feature, as well as his 5th shooting abroad, having led co-productions in Tunisia (1991), India (1996), Mali (1998) and most recently Benin (2011) with his film Shores (Orillas). The announcement was made in September by INCAA (Argentina’s National Institute of Cinematography and Audiovisual Arts) president Liliana Mazure and by Angolan Minister of Culture Rosa Cruz e Silva in September. The movie is currently being shot in Luanda and stars an international cast led by actor Juan Palomino and singer Charo Bogarín.